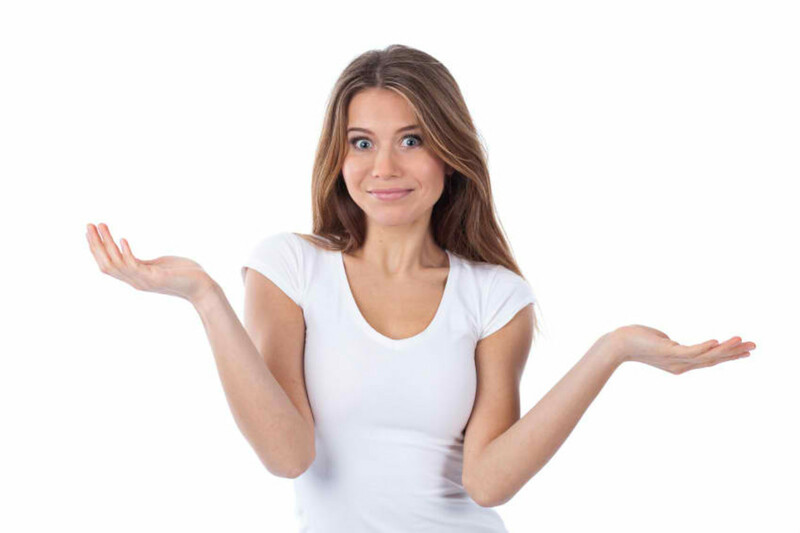 Silicone-Free Products: Why Is Silicone Bad for My Skin & Hair? Punkmarkgirl is a freelance writer with a passion for DIY projects, natural health & makeup - featuring the best products for oily skin. You may be surprised to know there's an ingredient lurking in your skincare, makeup and hair care products that’s slowly destroying moisture balance, clogging hair follicles, causing blackheads or breakouts, and paving the way for older looking skin and hair. This ingredient is called Dimethicone, more commonly known as Silicone. Silicone is an ingredient widely used in the construction industry, with the aim of sealing large cracks in plaster, while waterproofing the area. It is a common ingredient in caulking, which can be found between tiles on your walls, as a sealant on window frames, and around the base of your toilet. Silicone has a few different forms, but most are designed to achieve the same end-goal of working as a sealant, or a lubricant for mechanical parts. Disturbingly enough, it can also be found in products intended for your face and hair! With silicone’s #1 job being to create a smooth, flawless surface, it’s no surprise that companies started testing out its effects when added to makeup and haircare products. In the early 1970’s, cosmetic companies began using silicone, and it’s one of the most commonly used ingredients in the industry. Now that people are becoming more ingredient aware and demanding natural products, silicone is having a long over due call-out. Although it probably won’t ever completely disappear, at least people can be more knowledgeable about its damaging effects to hair and skin. Silicone based products can cause major pore clogs and acne breakouts. WHY IS SILICONE BAD FOR OILY SKIN & ACNE PRONE SKIN? Remember how we said that silicone is used as a sealant on household products? Well when silicone is used topically on skin, it acts in the same way. Silicone combines with sebum and dead skin cells to cause massive pore plugs. In the process, it “seals in” bacteria, and cuts off oxygen supply - unmercifully triggering inflammation, blackheads, infection, and breakouts. 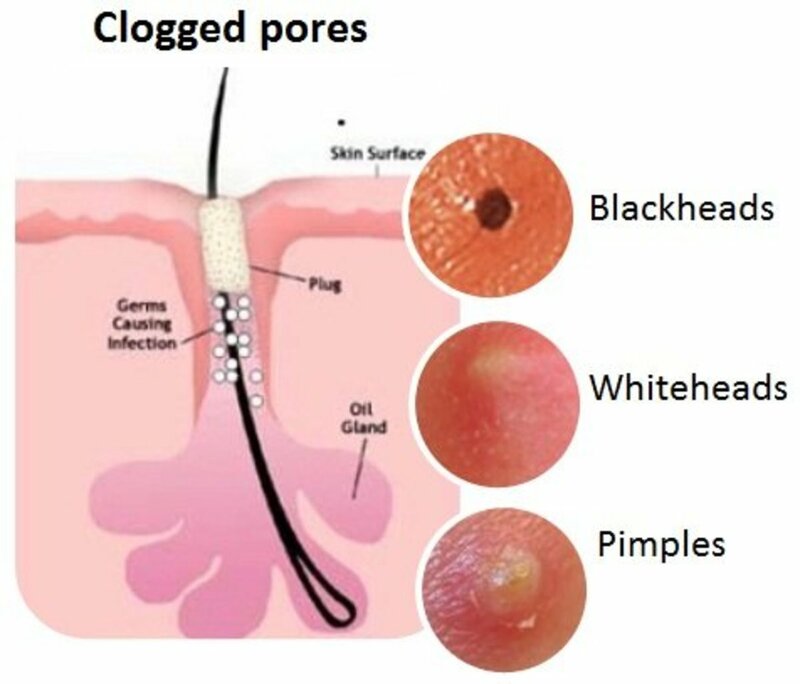 that the product clogs pores! The moisture blocking effect of Silicone also dehydrates skin – and we all know what happens to oily skin when it becomes dehydrated, right? It produces even MORE oil to compensate! In addition, dehydrated pores temporarily shrink to a smaller size after they’ve been clogged. This makes removing blackheads nearly impossible. 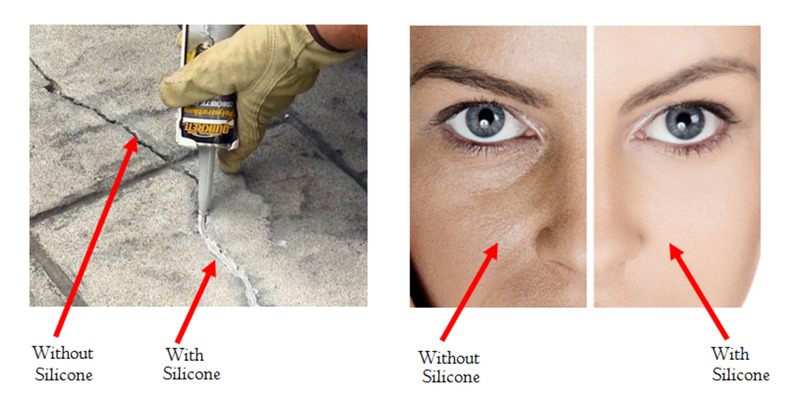 What’s even worse, silicone can cause permanent damage to pores when used repeatedly. The concoction of sebum and silicone can become so impacted that it actually stretches pores to several times their normal size - causing pore size to expand. So, as you try to hide large pores by using silicone-based primer and foundation, the problem is being exacerbated by the ingredient itself. If that isn’t a good reason to STOP using products with silicone, I don’t know what is! It’s also important that you don’t use moisturizer containing silicone. Moisturizers are designed to sink deeply into the epidermis, with the goal of hydrating cells. As the product sinks in to pores, all ingredients follow – including silicone. Even worse than applying a layer of primer or foundation that contains silicone, using moisturizer that contains the ingredient has a higher chance of clogging pores and sebaceous glands. Now that the detriments of silicone based products are becoming well known, the subject has become a hot topic for beauty bloggers. 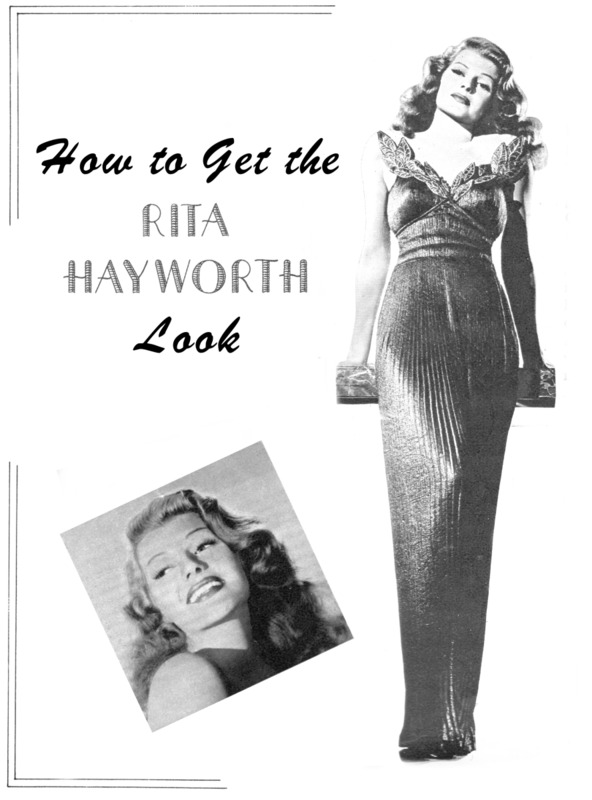 For reliable updates and lists of silicone-free products, visit the Rica is Hungry Beauty Blog. Foundations that are either water-based or powder-based normally do not contain silicone, and are your best bet for oily acne prone skin types. Opt for these silicone-free primers and light-weight moisturizers that don’t contain pore-clogging silicone. Exfoliation is key for removing the sticky buildup that results when silicone mixes with sebum and dead skin cells. As exfoliator sloughs away pore blockages, oxygen is allowed to circulate, which destroys any bacteria that may have been trapped. Exfoliate in the morning and evening, to prevent buildup of silicone on the skin’s surface. After exfoliation has removed the initial layer of silicone, it can also help to use a quality facial cleanser to further purify pores. Try Liquid Oxygen Facial Cleanser, which deep cleans pores, introduces even more oxygen to cells, and balances pH levels. When exfoliation and cleansing are not enough, and you can still see visible pore plugs, you can follow up with a face mask. Charcoal based masks and peel-off masks both attract pore plugs, to help extract them from pores. After exfoliation and/or the use of a mask, it’s important to follow up with toner. Look for a toner that has pore purifying ingredients and nourishing essential oils, but does not contain alcohol. Apple cider vinegar is an excellent toner for oily congested skin types, as its properties break down sebum barriers, eliminate bacteria, prevent acne, and balance the skin’s pH level. And guess what? Vinegar actually softens silicone – so if any of it remains inside of pores, vinegar will begin to dissolve it, allowing it to be removed the next time you wash your face. HOW CAN I PROTECT MY SKIN FROM SILICONE? If you flat out refuse to ditch products that contain silicone, there are a few things you can do to protect your skin. In addition to using the cleansing methods above, using toner should be considered an essential step before applying any product that contains silicone. Toner further purifies pores, and is the first step to making sure bacteria isn’t getting buried beneath layers of silicone gel. After toner has dried, you can add another line of defense, in the form of essential oils. Some of the best essential oils to destroy acne bacteria are Clary Sage, Cinnamon, Lavender, and Rosemary. Combine as a mixture that contains 1 part Essential Oil to 5 parts Alcohol-Free Witch Hazel. Shake well before each use, and apply with a cotton pad. The essential oils soak deep into pores, acting as a layer of protection underneath sticky silicone-based products. 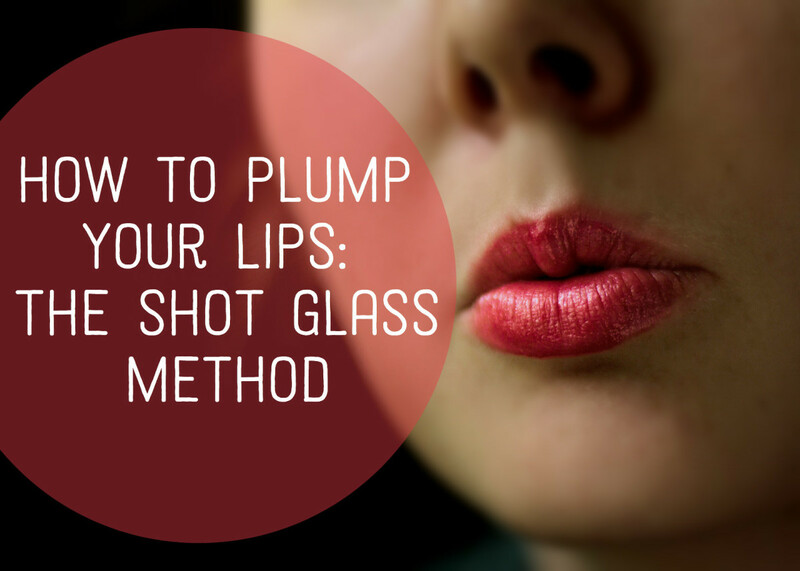 This method is especially beneficial if you use silicone based primer. This gentle silicone-free and alcohol-free toner helps cleanse and refresh acne prone, oily skin types. Most primers are thick gel-based formulas, which is why they cause problems for acne prone skin. What’s more, they don’t actually absorb oil, leaving sebum behind to clog pores and disintegrate foundation. If your favorite liquid foundation contains silicone, using powder primer underneath can help prevent pore clogs. Rather than absorbing into pores, the powder rests on the surface of skin, which also helps prevent foundation from entering pores. Try Mattify Cosmetics ULTRA Powder for Oily Skin, which multitasks as oil absorbent primer (before foundation) and oil control setting powder (after foundation). Mattify ULTRA - Setting powder for oily skin that also acts as silicone-free primer before makeup. Silicone imparts impossible shine and the façade of healthy, glossy tresses. Those with frizzy dry hair are often under the impression that silicone based products actually repair hair strands – but they would be wrong. 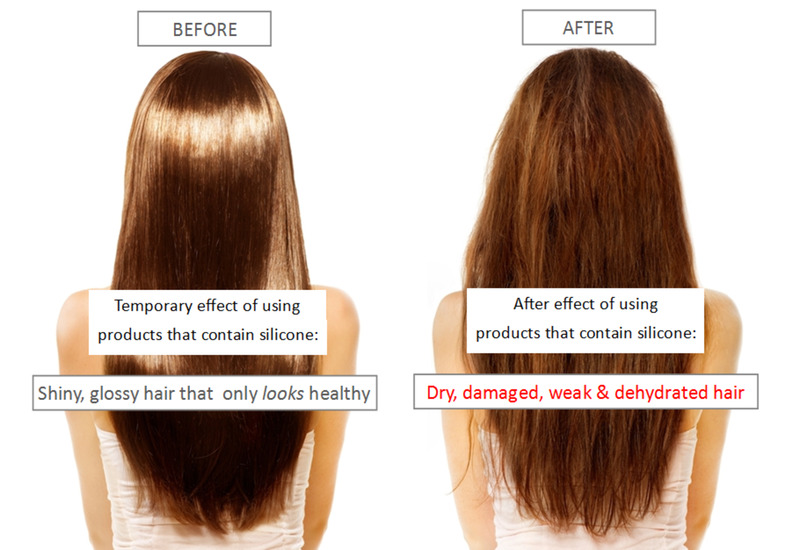 While silicone gives the illusion of perfectly smooth shiny hair, it’s actually paving the way for more damage. When silicone based conditioners are used in conjunction with styling products that contain silicone, hair quickly becomes overloaded with product buildup. Hair begins to look limp, lifeless and greasy. After a deep-cleansing shampoo is finally used, the layers of silicone are stripped away, and due to the lack of moisture, hair is more damaged than ever. Now, instead of a few frizzy split ends, you probably have straw-like hair that’s prone to breakage. Silicone can also have negative effects on the scalp. Just as silicone clogs pores on your face, it also can clog hair follicles. This could lead to acne breakouts on the scalp, which results in scarred areas that block hair follicles completely. If your hair suffers from sluggish growth patterns, silicone blocked follicles could be to blame. Unlike skin, there is virtually no way of protecting hair from the damaging effect of silicone, besides keeping the product to minimal use. Using a daily conditioner that contains silicone isn’t the best choice, but it’s not nearly as destructive as leave-in treatments with the offending ingredient. Why? First off, conditioner gets rinsed out of hair- leaving only trace amounts of silicone behind. It takes several days for this to build up on the hair shaft, and a few weeks before you’ll notice limp, lifeless locks. At the first sign of straggly lackluster hair, use a high quality deep-cleansing shampoo to remove product buildup. Shampoo and rinse twice, then proceed with either no conditioner, or a conditioner that does not contain silicones. Allow hair to air-dry, as it will feel rather rough after the silicone has been removed, and avoid heat styling for a day or two. Silicone from leave-in treatments causes the most damage, and these products should be avoided. The silicone affixes to each individual hair shaft – so when it’s used daily, it builds up quickly. This causes hair to feel heavy, while losing volume and looking dull. If you habitually use leave-in treatments that contain silicone, you will need to shampoo with a deep cleansing product a few times weekly. Shampoos of this type are often high in sulfates, which are also very drying to hair strands – so this definitely should not be a habitual routine. Stubborn buildup of silicone can also be removed by using a white vinegar soak twice weekly. 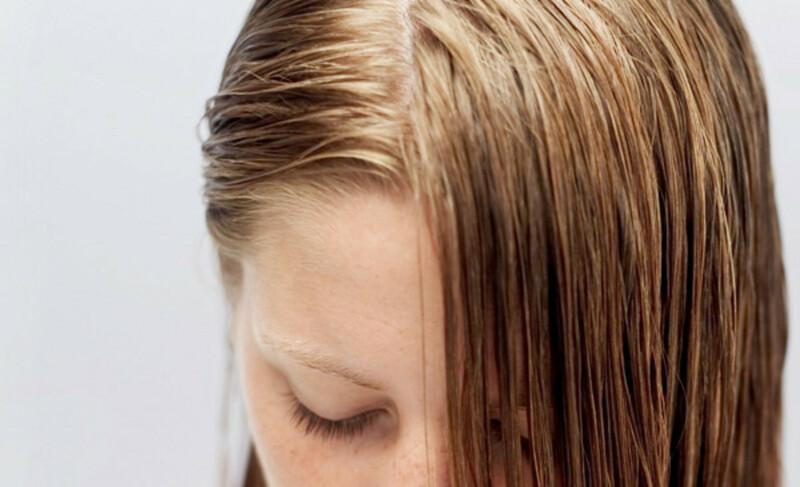 Submerge hair into a bowl of 1/2 pure white vinegar to 1/2 water, ring out, and allow it to sit for 20 minutes. Rinse with hot water, then use a deep-cleansing shampoo. Follow with a good quality conditioner that does not contain silicone. WHAT OTHER TYPES OF PRODUCTS CONTAIN SILICONE? Silicone is tricky to get away from – many products that are designed to be long lasting also contain the ingredient, such as lipstick, eye makeup, deodorant, and sunscreen. 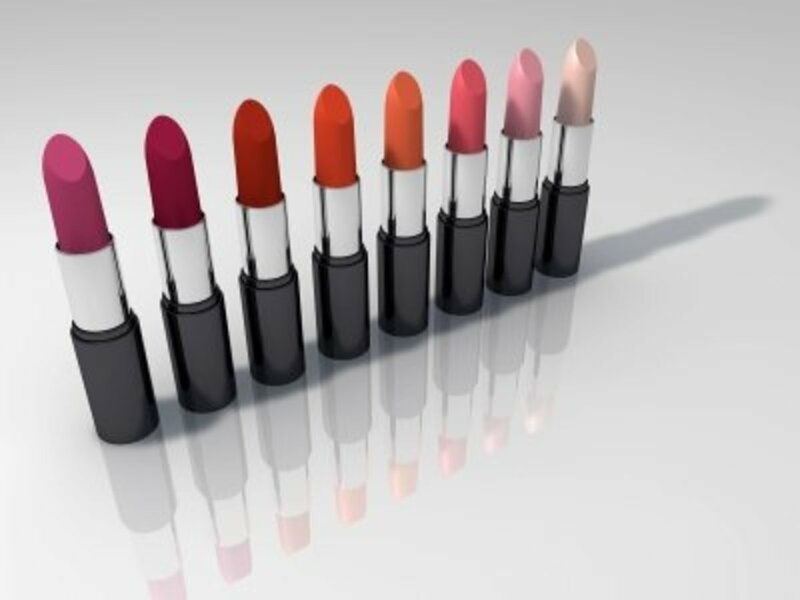 You’re safe using lip products that contain silicone, since lips do not have hair follicles or sebaceous glands – which means there is nothing for the silicone to clog. Silicone helps the formula go on smooth, and stay put for several hours. Silicones in eye makeup products can cause irritation in some individuals. Mascara with silicone is usually ok to use, as it does not typically rest along the lash line. But, if you are prone to getting swollen red bumps near the lash line, eyeliner or eyeshadow that contains silicone could be to blame. Eye lash hair follicles can get clogged from silicone, trapping bacteria and causing the red puffy irritation called a Stye – which is akin to a pimple on your lash line. Deodorant that contains silicone can also cause problems by clogging hair follicles and sweat glands under the arms. The area becomes inflamed and may develop cyst-like bumps. For those who experience such a reaction, it’s best to steer clear of formulas that promise to last for 24-48 hours, as those contain higher amounts of silicone. If heavy-duty formulas are a must, it can help to put down a protective layer of Tea Tree Oil first, and allow to dry before applying deodorant. The antibacterial properties of the oil will seep into hair follicles, lessening the chance of infection if bacteria become trapped beneath a layer of silicone. Silicone is very commonly found in sunscreen, as it amps up the product’s ability to stay put when exposed to water and perspiration. For this reason, many people break out when they use the same sunscreen on their faces and backs that they use on their bodies. Although you may need to apply it more frequently, it’s best to use a silicone-free formula that’s designed specifically for the face. IS IT EVER OK TO USE PRODUCTS WITH SILICONE? Just like fast food, alcohol, and binge-watching Netflix, the use of silicone-based products is not as destructive when used in moderation. Small amounts can be cleansed away from hair and skin fairly easily, without causing irreparable damage – but save it for special event days like weddings, holiday photographs, or walks down the red carpet. As a side note, women with dry skin can usually get away with using silicone based products, as dry skin types tend to have very small pores. But, they still need to be careful, as silicone blocks atmospheric moisture from being absorbed into skin – so they may end up with even drier skin than they had to begin with. IS SILICONE THE SAME AS SILICON? The answer to this is a resounding “NO”. Silicone is a man-made synthetic substance, originally intended to be used in items such as paint, ink, sealant, and rubber - rather than in products that are applied to skin. This sticky substance is typically used in liquid or gel concentrations, which is why it clogs pores and hair follicles. Silicon Dioxide (also known as Silica) is a naturally occurring substance that is mined from the ground. While it can also have industrial applications, it is not harmful to skin. Since Silica is a powdery substance, it sits above pores, rather than seeping into them. Many forms of mineral makeup and face powder contain silica, and it's perfectly fine to use on acne prone skin, unless you have a specific allergy. In general, you do not need to be wary of products containing Silicon or Silica. And last but not least, remember to check labels! Manufacturers like to get sneaky when creating their ingredient lists, in the hope that customers will not bother to look up information. Rather than seeing straightforward words such as “silicone” or “dimethicone”, more scientific (ie. unpronounceable) titles are used to reference these ingredients. Alternate names for silicones that you may find on ingredient lists are as follows: Dimethicone, Siloxanes D4 (cyclotetrasiloxane), D5 (cyclopentasiloxane), D6 (cyclohexasiloxane), and PDMS (Polydimethylsiloxane). Also beware when the words “Isoprene”, “Nylon” and/or “Crosspolymer” appear on your product labels, or in conjunction with any of the aforementioned “cyclo” titles. These other synthetic ingredients basically equate to liquid plastic, and are often used in addition to silicone. They are damaging to hair, notorious for clogging pores, and should be avoided if you are prone to breakouts. Do you plan to ditch products that contain silicone? In closing, you will thank yourself for making the switch to silicone-free products after you see just how healthy your skin and hair can become without this ingredient. It can’t hurt to try a silicone detox for the next month or so and take note of the results. If you have any silicone-free products that you’ve come to love, please share in the comments below! I never knew this. It’s amazing what we are willing to put on our skin and in our hair. I had no idea that silicone could cause such damage to skin and hair! I've never had an issue with products containing it that I'm aware of, but like your poll suggests I might give silicone free products a try and see if there are any noticeable changes. Thanks for informing me!